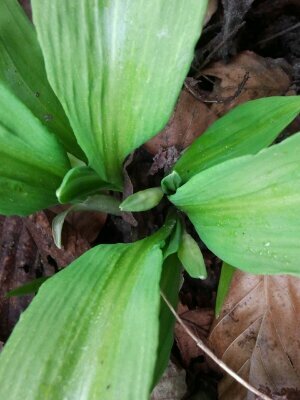 The three of us went foraging Wild Garlic (Ramsons, NL: Daslook) today, in Flevopark. There is a large concentration of healthy plants there and out was possible to pluck a handful of leaves without leaving a mark that anyone else would notice. Unfortunately we noticed signs that again, people have been ripping handfuls of leaves from individual plants. If you like to gather this plant, please do so in an ethical and environmentally sound way. 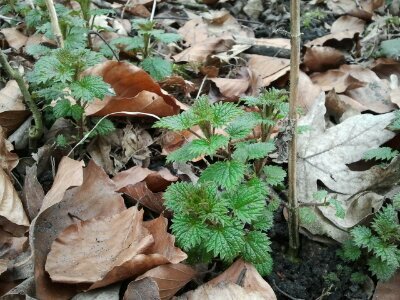 Already, the plants in Flevopark have flower stalks appearing. 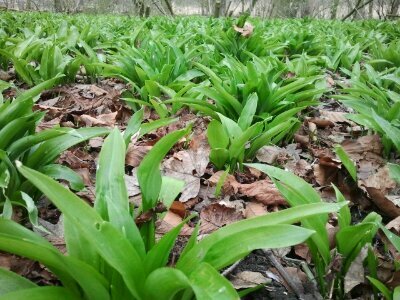 Once they become really obvious and are about to bloom, the plants taste differently and are best left alone to flower and set seed. 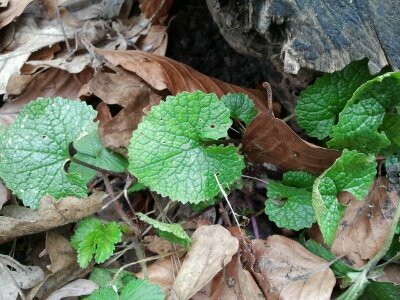 Could this be Garlic mustards early leaves? It looks like them but my hands stank of garlic by this point so out was difficult to tell.